There are few efforts less likely of a successful outcome than seeking to define the boundaries between art, photography and fashion. We know that they overlap, feed off each other and are difficult to distinguish. We may instinctively believe that they are distinct, but we struggle in practice to see the boundaries. 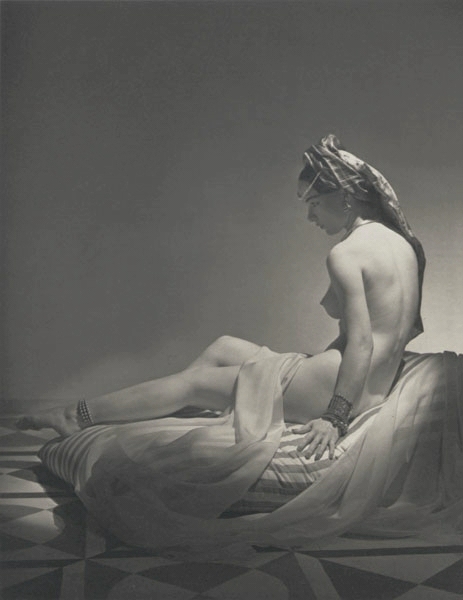 Horst P. Horst, whose photographic work is currently the subject of a major retrospective at the V&A, is one of the people who did most to blur the boundaries. For that alone it would an interesting and absorbing exhibition, but it presents in context some of the most memorable photographic images of the last hundred years. 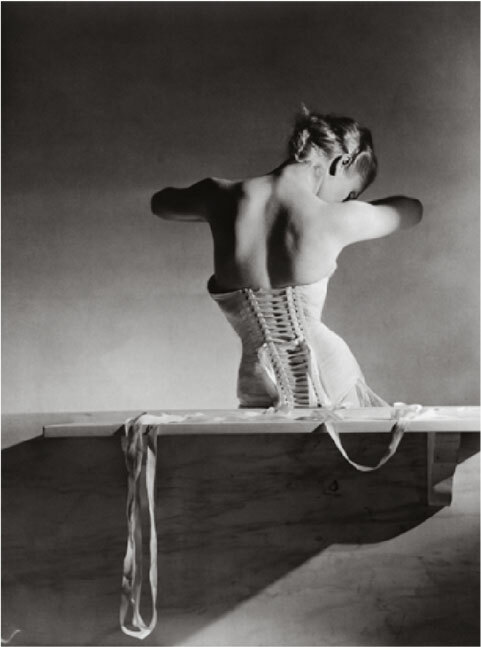 Horst P. Horst was born Horst Bohrmann in 1906 in Germany. Interested in the avant-garde, he moved to Paris around 1930 and found work as a photographic assistant. Visiting England, he was introduced to Cecil Beaton who was then working for the British edition of Vogue magazine. Within a year, Horst had his first assignment for the French edition of Vogue and was set upon a life long career as a photography, and principally as a fashion photographer. In 1937, sensing the dangers of an impending war, Horst moved to New York. The last photograph he took in Paris before he left was “The Mainbocher Corset”, perhaps one of the most iconic photographs of the C20. 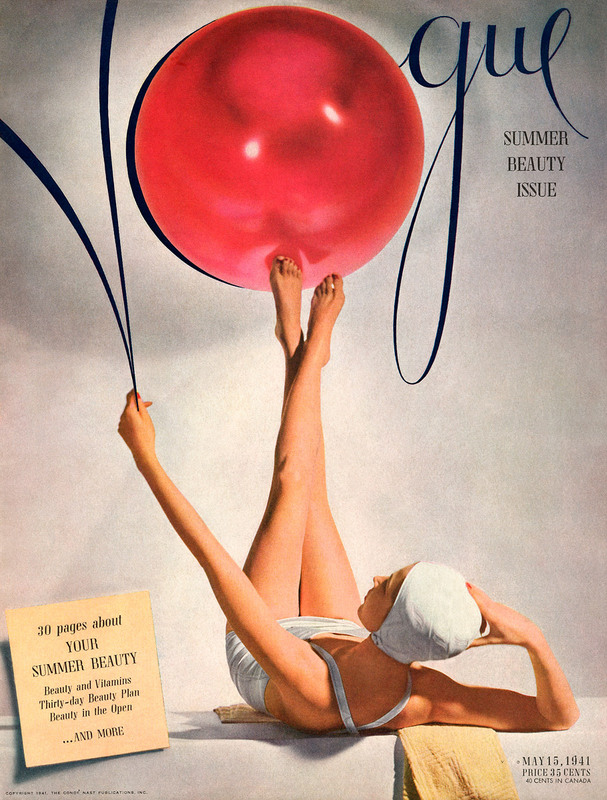 Settled in New York, Horst continued his association with Vogue. But while the greatest part of his output was related to the fashion industry, he also produced a significant body of portrait work, still lives and travel photography. During his time with Vogue he successfully managed the transition from black and white to colour photography, producing many, many Vogue covers for the US edition of the magazine. He died in 1999 at the age of 93. Horst’s connection with art were extremely close throughout his life. He frequently turned to painting and sculpture for inspiration on lighting and composition, such as his series of Odalisque nudes based on Ingres. And many of his early fashion photographs can be seen to build on classical notions of how to present female sensuality. He became good friends with Salvador Dali, photographing him, collaborating on projects and absorbing surrealist ideas into his photography. 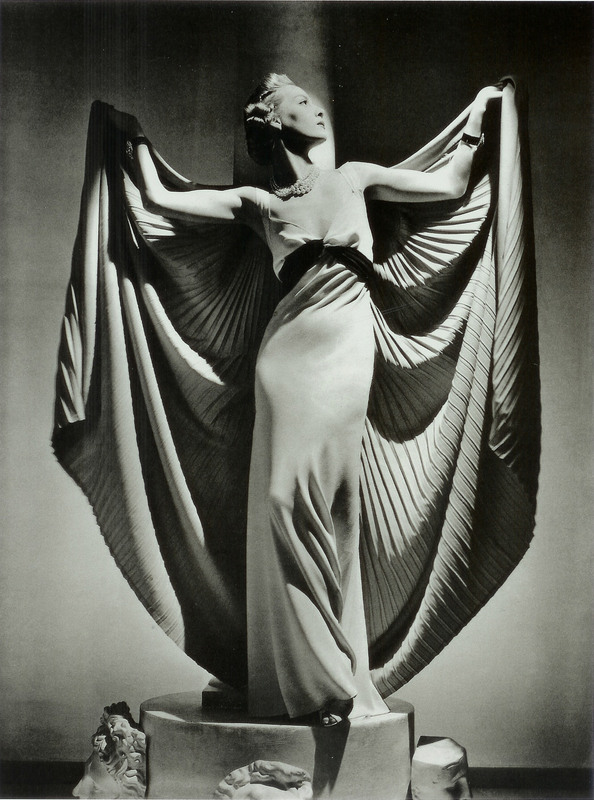 Horst was essentially one of the key creators of the the modern word of fashion photography, and one of the key reasons why the worlds of art, photography and fashion are now so hard to disentangle. He produced some of the most memorable and distinctive images of the C20. They are images which rely heavily on the concept of chiaroscuro – creating strong distinctions between light and dark – to pick out the key elements of the image and lose the rest in shadow. The exhibition at the V&A is large and seeks to be a comprehensive survey of his work. For anyone interested in photography, fashion and their overlaps with art it is essential viewing. When I visited the exhibition area was very full and it was hard work to see all the images, many of which are quite small. The most easily seen images are some new and very high quality colour prints of some of his Vogue covers. If you cannot go, or cannot face the crowds then a beautiful though expensive alternative is the hardback catalogue of the exhibition which contains copies of all the images, many at the same size as they are displayed in the exhibition. It is a beautiful catalogue of the work of a master stylist and photographer. Posted in Art, Exhibition Reviews, Inspiring Photographers and tagged Art, fashion, horst, photography, review. Bookmark the permalink.